Sometimes I feel a little bit like Paul Revere when he was on his midnight ride. 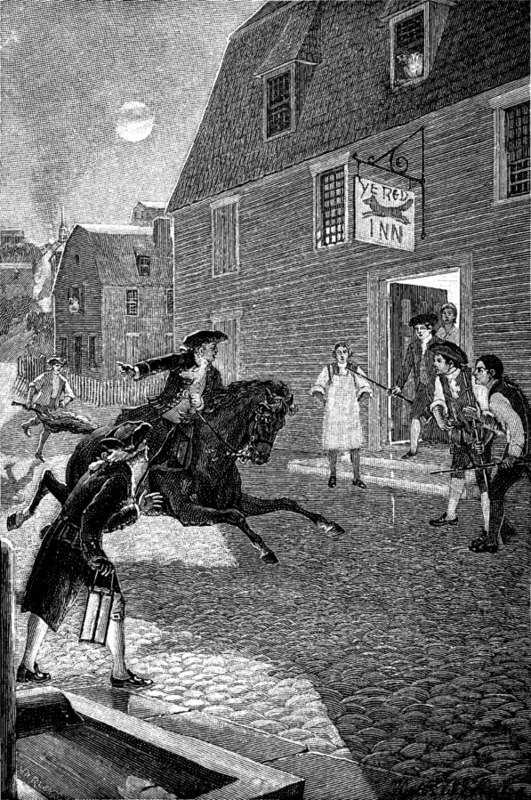 As you know, Paul rode that night to warn the colonial militias, the American Revolutionary Minutemen, that the Kings men were coming. Now that might sound kind of amusing, and really there is no comparison except for the fact that I have been trying to sound the trumpet throughout the world that the Great Deception is coming. The question you must ask yourself is: are you prepared to face a powerful supernatural deception that will overtake every belief system and religion on the planet? This deception will be so powerful that it will literally shake the very foundations of human civilization to its core. I am not the only one warning the world about what is coming, there are plenty of others also sounding the prophetic trumpet that something wicked is headed our way. God has been speaking to a lot of Christians about this: just check out the writings and lectures of L.A. Marzulli and Tom Horn, among others, regarding the alien deception and the coming Alien Antichrist. As I state in my book, Alien Antichrist, UFOs and aliens will become one of the most important prophetic issues of our time, I cannot state that more emphatically (page 19). According to cosmologist Fergus Simpson, when we do encounter aliens they are likely to be giants, bigger than humans, and may weigh up to 650 pounds (300 kilograms). The article explains that this is based on a mathematical model in relation to animal size, energy, and resources, etc..
Genesis 6:4: There were giants in the earth in those days; and also after that, when the sons of God came in unto the daughters of men, and they bare children to them, the same became mighty men which were of old, men of renown. Numbers 13:13: And there we saw the giants, the sons of Anak, which come of the giants: and we were in our own sight as grasshoppers, and so we were in their sight. (See also Deut.2:11, 20; 3:11,13; Joshua 12:4; 13:12; 15:8; 17:15; 18:16). 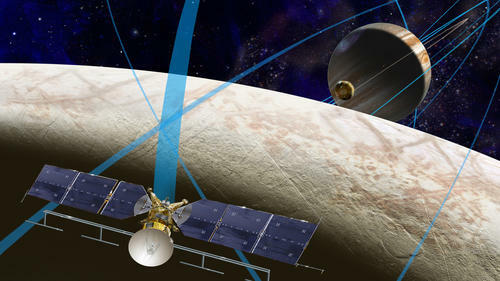 Left: An artists illustration depicts a planned NASA mission to Jupiter’s moon Europa. This article (dated April 7, 2015), is practically a repeat that I have seen before. Of course the life they are talking about is microbial, but it seems to be implied that other life may be discovered beyond Earth. Of course all of this may be related to NASA’s budget, and headlines such as these are designed to keep the public interested, and on the edge of their seats in anticipation of alien disclosure. But I think there may be more going on here because this kind of news keeps flowing out of NASA, SETI, and other official scientific sources. I also believe that we should be aware that sources within the government may also use an alien discovery, or alien disclosure as a pretext for war and further controls on society. I think most of you who read blogs like mine are aware of the propaganda that our respective governments use in an attempt to control and manipulate the population. The United States government is certainly not beyond using propaganda to influence and manipulate, that has been verified on more than one occasion. So just be aware that news of a discovery of alien life may be a bit of artful propaganda by the government to initiate something else, something that will no doubt be harmful to human life (which has many enemies these days). Something like war, mind control, or population control, restrictions on rights, etc..
Keep your eyes open for articles related to alien life written by scientists. The powers that be have reasons for putting that kind of information before the public. Be wary of official statements from NASA or related entities, and realize that many of these scientists and institutions have ulterior motives for feeding the public false information. 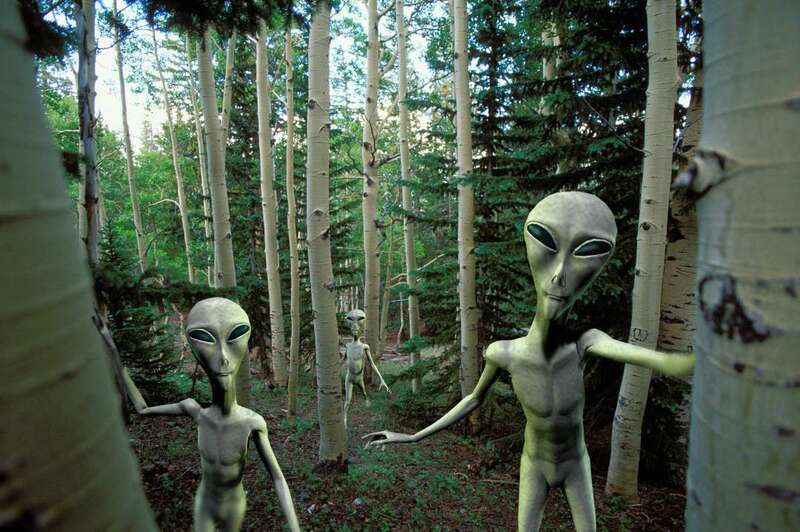 According to the Bible supernatural beings are headed to Earth but they are not aliens, no, not by a long shot. In all reality they are the Fallen Ones, and they also have an ulterior motive to get you to believe in aliens or benevolent space brothers. And there was war in heaven: Michael and his angels fought against the dragon; and the dragon fought and his angels, And prevailed not; neither was their place found any more in heaven. And the great dragon was cast out, that old serpent, called the Devil, and Satan, which deceiveth the whole world: he was cast out into the earth, and his angels were cast out with him (Revelation 12: 7-9. See also Rev. chapter 9, and Joel’s alien army, Joel chapter 2). The battle is for your mind, it is for your eternal soul. Whatever you choose to believe about all of this never forget that one fact. God has a plan for each of us and that begins with eternal salvation through His Son Jesus Christ. Jesus came to Earth and lived a perfect life that fulfilled every requirement of the Jewish law. He died on the cross because of our sins, and the judgment that we deserve was poured out on Him. Surely he hath borne our griefs, and carried our sorrows: yet we did esteem him stricken, smitten of God, and afflicted. But he was wounded for our transgressions, he was bruised for our iniquities: the chastisement of our peace was upon him; and with his stripes we are healed. All we like sheep have gone astray; we have turned every one to his own way; and the LORD hath laid on him the iniquity of us all (Isaiah 53:4-6). Moreover, brethren, I declare unto you the gospel which I preached unto you, which also ye have received, and wherein ye stand; By which also ye are saved, if ye keep in memory what I preached unto you, unless ye have believed in vain. For I delivered unto you first of all that which I also received, how that Christ died for our sins according to the scriptures; And that he was buried, and that he rose again the third day according to the scriptures (1 Corinthians 15:1-4). Salvation through Christ comes by faith; you do not join a church, take a communion wafer, obey rules, give money, etc. It is only by faith, and faith alone in Jesus Christ. He died for your sins and was raised for your justification (Romans 4:25). Believe on Him and be saved. Behold now is the accepted time; behold, now is the day of salvation (2 Corinth. 6:2). For by grace are ye saved through faith; and that not of yourselves: it is the gift of God: Not of works, lest any man should boast (Ephesians 2:8-9). If you are interested in a biblical view of UFOs and aliens and how the phenomenon relates to end-time Bible prophecy then I recommend my book to you, Alien Antichrist, The Terrifying Truth about UFOs and Aliens, Antichrist, and the End of Days. The book is an in-depth study of UFOs and aliens and how they relate to the Bible and Bible prophecy. UFOs and aliens will be used as the Great Deception of the last days. Get the book, be informed, and be armed with biblical truth. And for a limited time if you have Kindle Unlimited or Amazon Prime you can download a copy of the book for free! Again, thanks for visiting. Please remember to pray for the persecuted church around the world. Indeed, persecution is increasing and is becoming more aggressive in these last days before the Return of the Messiah, Jesus Christ. Christians are suffering horribly in Syria, Iran, Iraq, Saudi Arabia, North Korea, Indonesia, China, Etrirea, and in many other places in the world. Pray for comfort and strength, pray that God will minister His mercy and grace, and the comfort of the Holy Spirit. Christians are being tortured, mutilated, and are in cold heartless prisons, hurting, lonely, and starving. 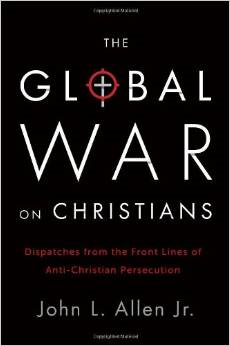 If you are interested in reading about Christian persecution here is one book I can recommend by John L Allen Jr. He who has ears let him hear what the spirit is saying.